Smooth, creamy, rich and decadent...this hot cocoa flavored with Peppermint Bark candy is like dessert in a cup. 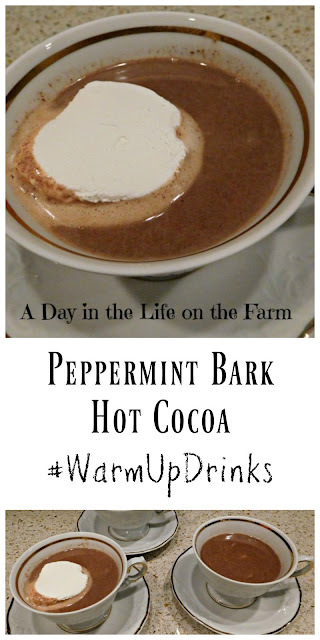 Ellen of Family Around the Table asked our Festive Foodies group to post Winter Warm Up Drinks on each Friday of 2019 for 6 weeks. I missed the first two weeks but then shared a Tom and Jerry and a Soursop Soother for the next two weeks. This is week number 5 and I decided to forego the alcohol this week. 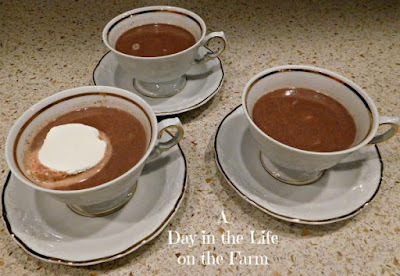 Therefore this rich, decadent hot cocoa is perfect for children and those who choose not to consume alcohol. When we met Nicole, Pierre and Anthony for dinner last week, Nicole brought along some chocolates and cookies for us. 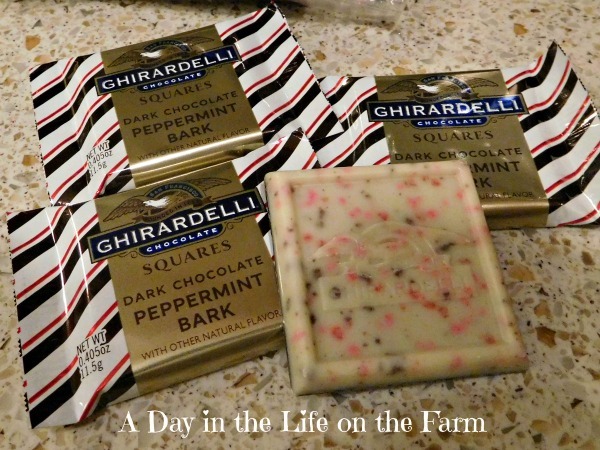 These chocolates were my inspiration for today's recipe. You can see how rich this hot cocoa is. 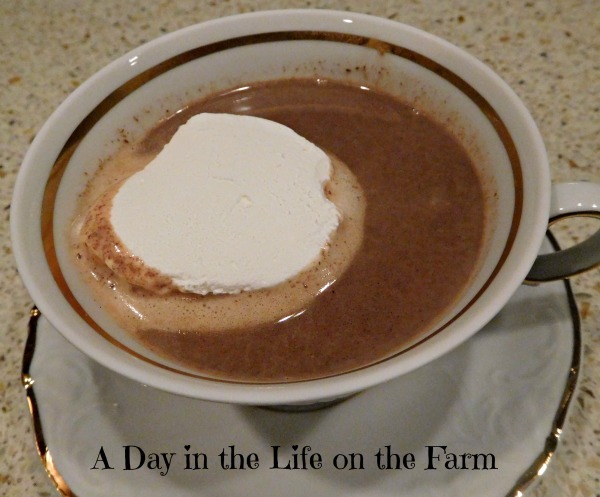 It was screaming for a big dollop of unsweetened, whipped, heavy cream. Unfortunately, I didn't have any heavy cream in the house. I did, however, have a tub of whipped topping in the freezer, so I used that. This was an amazingly good hot cocoa and the teen loved it with the whipped topping however I longed for homemade whipped cream. Before I share my recipe, I would like to share what the others are serving to keep us warm this winter. Combine the cocoa, salt and sugar in a sauce pan. Add the cream and place over med low heat. Cook, whisking constantly until steamy and smooth. Add the peppermint bark and continue to whisk until completely incorporated and smooth. Divide between servings and add a dollop of whipped cream to each serving. Oh, my goodness. I need that right now. I would say it's chilly here, but I will keep my California-mouth shut since I know where you live! Cheers, Wendy.